Is Video-Based Interviewing the Future of Hiring? Posted by Alissa Parr, Ph.D.
As companies expand their boundaries nationally and internationally, they need to consider the question: how do we make the selection process more efficient for our candidates and for our recruiters, without sacrificing on effectiveness? Technology offers a great solution to this question. In past blogs, we’ve talked about how technology can improve the hiring process. However, one emerging trend that we haven’t discussed before is the use of video-based interviewing. In a recent webcast through HR.com, I posed the question, “What do you think we’ll see more of in the future for interviewing?” The participants overwhelming said video-based interviewing (80%). The rest of participants said panel interviews (8%), non-traditional interview questions (8%), and group interviews (4%). Several companies have started using video-based interviewing. A recent survey by PRNewswire found that 6 out of 10 companies are currently using video-based interviews. It’s not too surprising that a lot of companies have already adopted this practice as there are several benefits. Overall, it provides much more flexibility to interviewers and candidates. From an interviewer perspective, companies can save a lot of money by not having some candidates travel from far distances for a face-to-face interview. Additionally, they may be able to schedule the interview faster because they don’t need to make travel arrangements, thereby expediting the hiring process. Another benefit of video-based interviews is the opportunity to see each other’s reactions and form a deeper rapport. They can make eye contact, use gestures, and smile, which can all facilitate the process of forming a relationship. Alternatively, there are some unknowns when using new technology, including video-based interviewing. In particular, you are at the mercy of technology—whether it decides to work or not. If the internet connection is not strong, there may be delays in response time or there may be moments of disconnection. Additionally, according to media richness theory, we know that there is not a one-to-one relationship between video conferencing and face-to-face interactions. With face-to-face interactions, you can physically interact by shaking hands. You are also better able to see responses from individuals and truly get real-time responses from individuals. Overall, not much research has been conducted looking specifically at video-based interviewing and whether they have the same effectiveness as face-to-face interviewing. One recent study by Sears and colleagues in 2013 examined the differences between simulated video-based and face-to-face interviews. They found that “applicants” perceived video-based interviews as offering them less of a chance to perform and as less job-related than face-to-face interviews. Applicants also felt the interviewers were less personable, trustworthy, and competent. Additionally, “interviewers” were not as impressed with applicants, giving them lower scores and less often recommending them for the job. This study suggests that video-based interviewing could potentially negatively influence applicant and interviewer reactions. However, much more research is needed to determine if these findings are supported in real job situations. This brings to light an important consideration: just because the technology is available, should we use it? Video-based interviewing provides several benefits to make hiring processes more efficient. However, there is limited information comparing how these types of interviews hold up against face-to-face interviewing. There is much to learn about these new trends, and before we immediately grasp onto them, it’s important to know whether they truly will be a value-add to the hiring process. Sears, G. Zhang, H., Wiesner, W., Hackett, R., Yuan, Y. (2013). A comparative assessment of videoconference and face-to-face employment interviews. Management Decision, 51, 1733 – 1752. Alissa is a Consulting Manager at Select International. Her areas of expertise include the development, implementation, and evaluation of assessment processes. 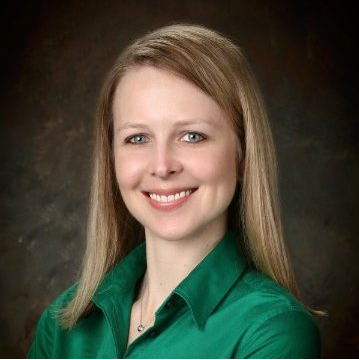 Alissa has experience managing entry-level through executive level assessment and selection efforts across a number of different industries including government, financial, military, education, healthcare, and manufacturing.